Product prices and availability are accurate as of 2019-04-22 05:48:46 EDT and are subject to change. Any price and availability information displayed on http://www.amazon.com/ at the time of purchase will apply to the purchase of this product. MARBLE Cast Metal Puzzle from Hanayama Puzzles of Japan is both a delightful and tricky brain teaser puzzle. It consists of FOUR pieces which completely separate. The object is to disassemble and assemble back together. Measures approximately 1.25 inches across. This is a really fascinating disentanglement brainteaser. You may find yourself turning the center ball around and around for longer than you planned. Recommended for ages 12 to 105 years. A few bright children between 8 to 11 years may also enjoy, provided they understand that NO force is used to solve. Forcing pieces may damage the puzzle !! Rated by the manufacturer as a level 4 difficulty (on a scale of 1 to 6 where 6 is the most challenging.) 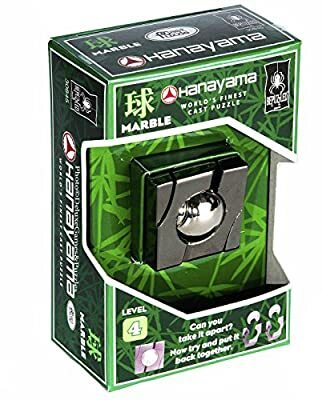 Difficulty level shown on the packaging. Your own experience could vary substantially. 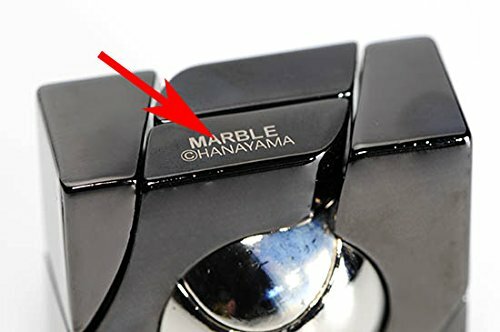 MARBLE is part of a series of 55 plus very interesting and mentally provocative metal brain teasers from the Hanayama Puzzle Company. 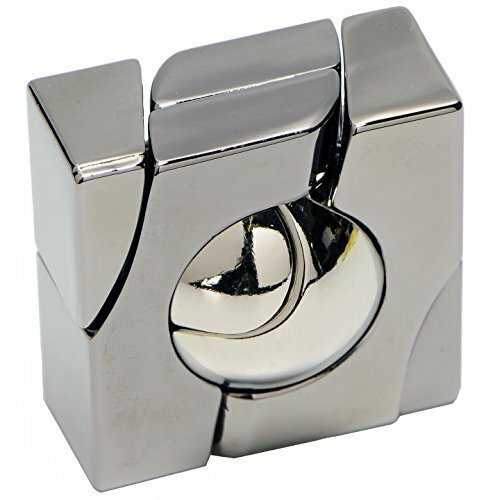 Some serious puzzlers refer to these as "disentanglement-style puzzles" as they involve taking something apart and then re-assembling. Re-assembly can also be a puzzle and may be equally as tricky.